New & Noteworthy Books by the Finleys . . .
Click on a book's cover art to learn more or to order a copy. 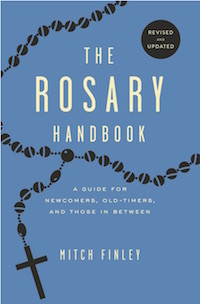 We try to link each book to the online source with the lowest price, shipping included, but we encourage you to "shop around" and, in particular, to check with your local catholic bookstore. also, if you're browsing this website from canada or the u.k. you'll find our books on both amazon.ca and amazon.co.uk. finally, if all else fails, email us using the form at the bottom of this page, and chances are you can order directly from us . . .
Books on men's spirituality tend to be odd, suggesting beating on drums and role models from the Old Testament, Greek mythology, etc. A Man's Guide to Being Catholic suggests that Catholic men embrace the Jesus of the gospels, the risen Christ, the Sacraments, and life in the Church. It's inspiring, informative, and honest. Above all, honest. This easy-to-use book of prayers provides a much-needed resource for families who want to celebrate the everyday events of their lives. 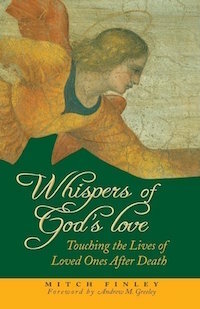 From such moments as the first day of school, being in a thunderstorm, reading together, and fifty-seven other occasions, Kathy helps parents and young children see and express the ways that God is part of their lives.